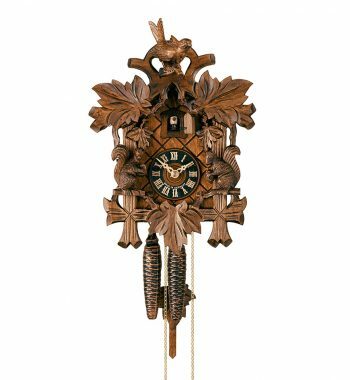 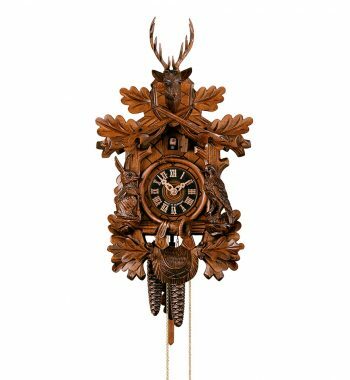 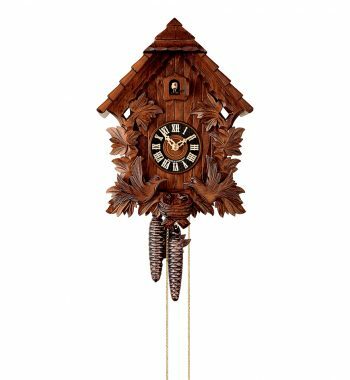 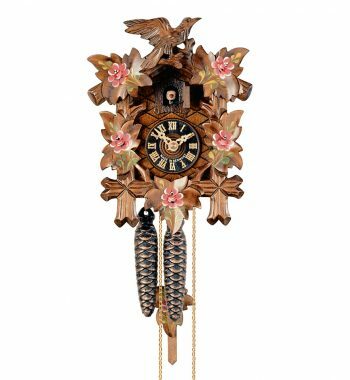 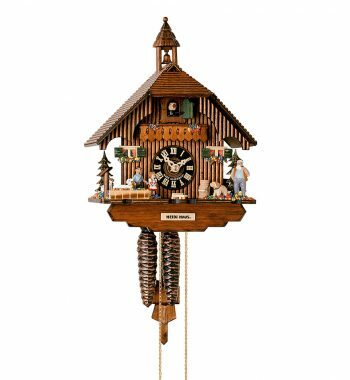 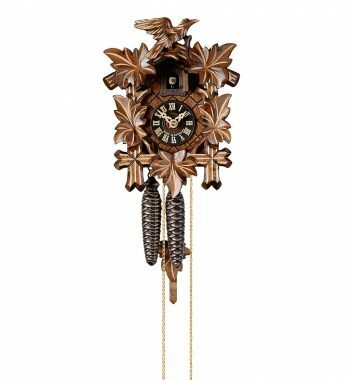 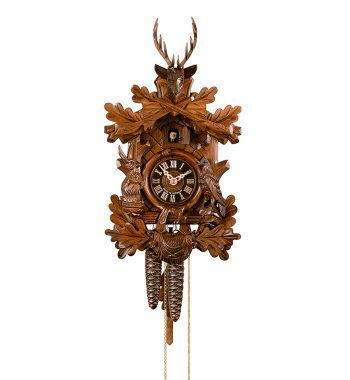 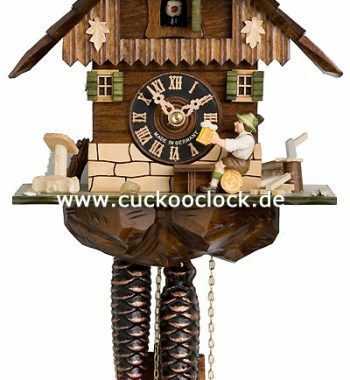 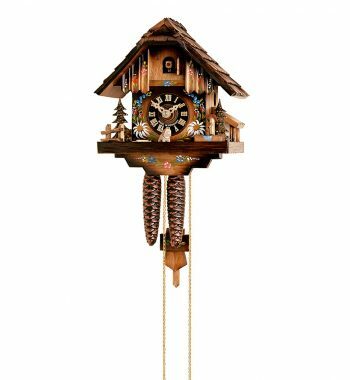 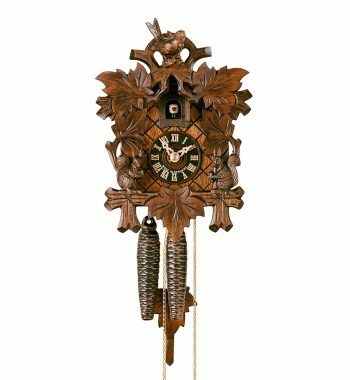 Original Black Forest Cuckoo clock with detailed-carved bird and mountain-climber. 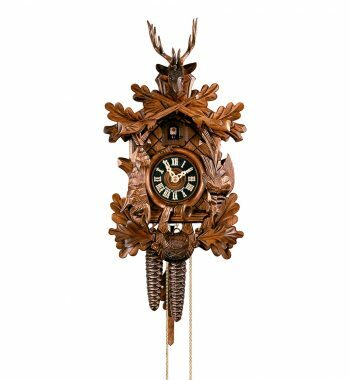 Deer head on top. 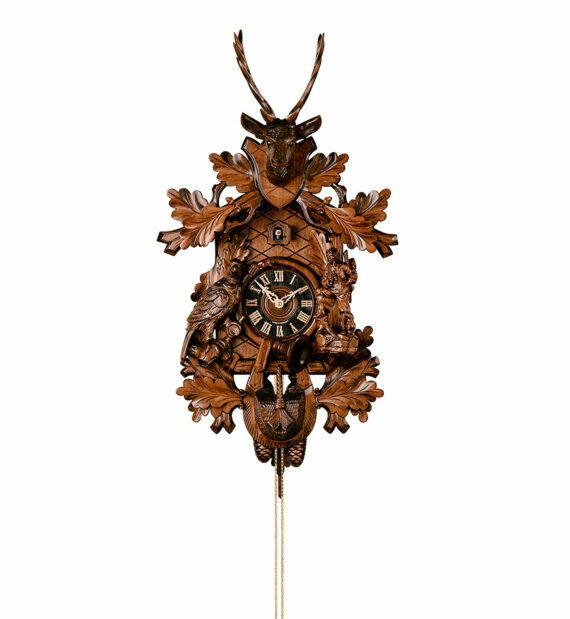 Hunterhorn around the dial.